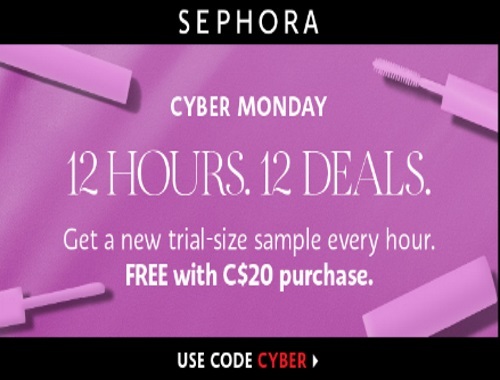 Today for Cyber Monday Sephora is giving out Free Trial-size Samples every hour! 12 hours, 12 deals! If there are any samples remaining from the past hours, they will still be listed when you enter the promo code too! Look for a new deluxe sample every hour with any $20 purchase. Enter the promo cod CYBER at checkout.